Denki Blocks! on the iPhone. Om. Nom. Nom. And nom. Oh, yes. We were itching to do another Denki Blocks! and now seemed as good a time as any. It was blatant when we did it for GBA way back in the day that it was ideal for snacking – and the iPhone is an ideal vending machine so it’s a marriage made in heaven. 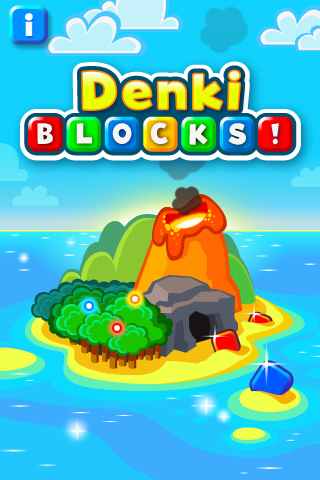 iPhone Denki Blocks! is the best version yet. It’s the tightest version and the most convenient and dramatic to play. Denki Blocks! is all about the puzzles – and here the mix is perfect: mostly soft centres with a few jawbreakers to test your resolve. I also don’t like the fact that playing the same type of puzzle too often in one sitting can leave you numb to the fun you just had. You can have too much of a good thing. It’s important to vary your puzzle diet; the contrast improves the scope for drama. I find Denki Blocks! is like fine mind-toffee. It’s yummy and all (especially the liquorice flavour) but you don’t want to be doing too much of it in a single session. I’m surprised how often I’m peckish for some mental chewy goodness only to end up playing it for too long and leaving my brain hurting. Just like the effect of eating too much toffee in one go. 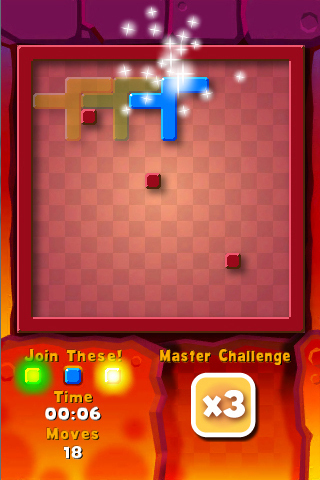 Each puzzle in iPhone Denki Blocks! features a rather spiffy Master Challenge. 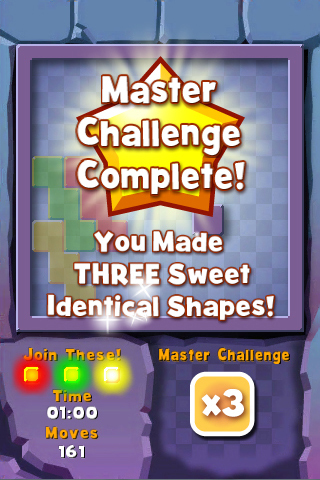 There are five different types of Master Challenge in total, each incredibly satisfying to take on and befitting a true Puzzle Master (like me). You don’t have to do the Master Challenges but they are oh so tempting. 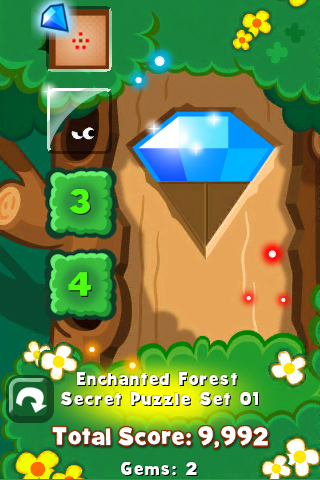 Making a specific shape or any two or three identical shapes will be familiar to players of previous versions. 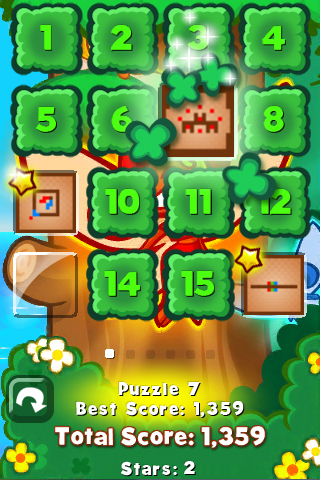 But now you are also challenged to solve some puzzles within limited moves and time. I’m especially enjoying this more formal focus on beating moves and time pars (they were always implicit rather than explicit on GBA). The speed trials are divisive but they very much remind me of the buzz I used to get from solving Rubik’s Cube as quickly as possible. Here’s a great example of a classic Denki Blocks! 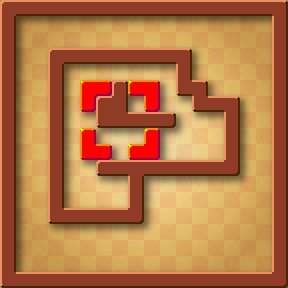 puzzle and a new Master Challenge. It seems impossible but, of course, it’s not. The Master Challenge is to do it in no more than 17 moves (my current record’s 10 BTW). 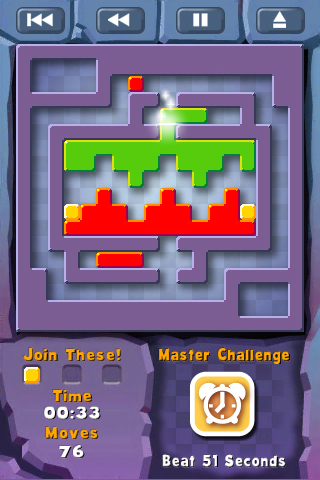 In the full version, completing Master Challenges earns you Denki Stars. Collect enough of those and you unlock a set of themed Secret Puzzles and the chance to assemble a Denki Gem. This structure’s basically a refined variation of the GBA original: an obvious set of puzzles on top and a special sub-set underneath. But the urge to complete Denki Gems makes all the difference. Speaking of which, I now have an itch to scratch. My arch puzzle nemesis Sean Taylor has just beaten my best score for that puzzle with the red blocks in and, as Denki’s reigning Puzzle Master that’s… Well, a slap in the face (not to mention a kick in the blocks).